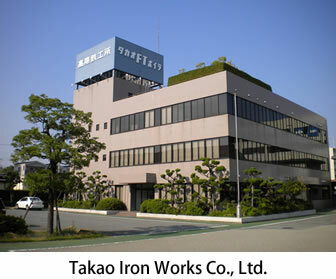 Company Profile｜Takao of boilers, pressure vessels, and accumulators｜Takao Iron Works Co., Ltd.
Takao Iron Works Co., Ltd., has an integrated system of R&D, engineering, manufacturing, and after-sales maintenance. As our mission, we have worked on proposing the optimized boilers and/or pressure vessels for every customer and manufacturing the reliable products that can be used in safety over long term. 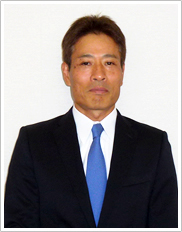 After I entered our company, I had been working as engineer. And I had performed a lot of commissioning and performance verification tests of the product that was designed by myself. In those days, I sometimes faced difficult problems and I had worked through the night. In addition to the cultivated technologies and know-how as a boiler manufacturer since the establishment in 1908, we will contribute to customers and communities through challenging to new technologies, e.g., mechanism, fuel. We are aiming at a company that can keep a continuing good relationship with our customers through our products. We would appreciate your understanding and continuing support of our company. 1．Design, manufacturing and installation of boilers and pressure vessels, and tanks in accordance with the applicable regulations below. 2．Repair and maintenance in accordance with the statutory inspection of boilers and pressure vessels. 3．Energy-saving proposals, Modification work, Commissioning. 4．Design and manufacturing of data acquisition devices and control panels for management and control of equipment. We will accept your orders at any time using our in-house design and in-house/outsourced manufacturing.